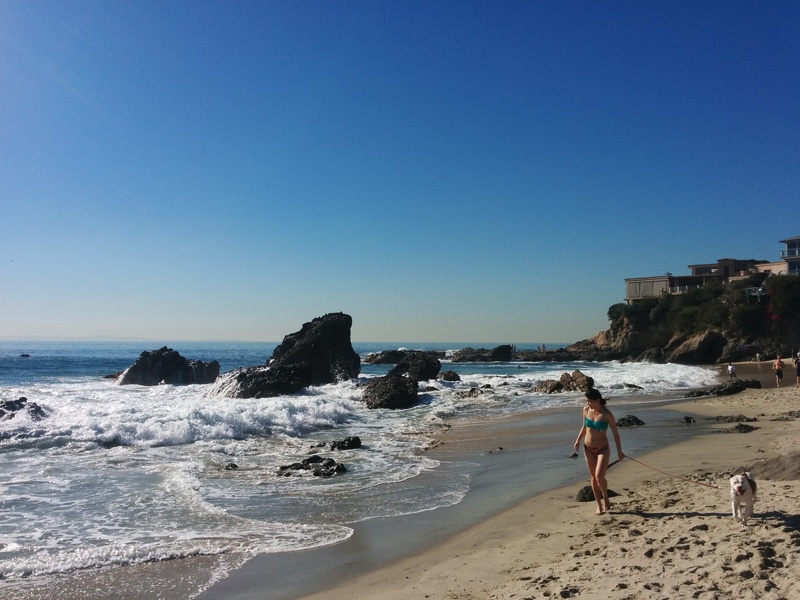 Southern California winters can be one of the best times to go to the beach. With small tourist crows and high temperatures around 90 degrees this past week, we couldn’t resist spending a day with Dakota lounging at the beach! Woods Cove is located a couple miles south of downtown Laguna Beach on Diamond Street and PCH. 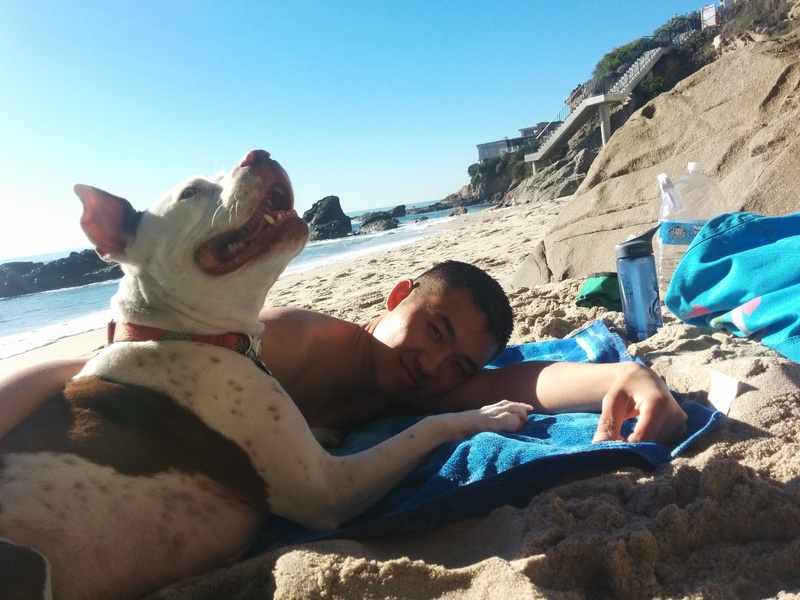 From September 17th through May 31st, dogs are allowed on the beach all day as long as they are leashed. During high tourist season, June 1st through September 16th, dogs are only allowed on the beach before 8AM and after 6PM. Parking is metered around Diamond Street and the maximum allowed time is 1 hour. It is best to come with a friend to have someone feed the parking meter without losing your spot on the beach! As like most coves, the beach area in Wood’s Cove is small. But on a Friday afternoon in February, the place was not overly crowed.